I’m just going to straight up say it: I don’t like snails. Pest snails, pet snails... they’re just not for me. So how do you prevent unexpected guests from hitching a ride on your aquarium plants? Like any good beginner hobbyist, I did a bunch of online research on plant dips to find out what methods will remove hitchhikers without killing my aquarium plants. And right from the start, there seemed to be a lot of differing opinions, especially on what will get rid of both snails and snail eggs. So I decided to run some scientific experiments to see for myself. Since my tanks are currently snail free, I reached out to Greg Sage from Select Aquatics, who has a long-running fish breeding business. Huge thanks to Greg for providing me three clumps of java fern, which he put in his most snail-infested tank for this experiment. (Pro tip: snails can be very useful for cleaning up excess food in fry tanks.) Don’t forget to check out his rare livebearers and green dragon plecos for sale at selectaquatics.com. Does it get rid of snails? Does it also neutralize the snail eggs? Did the plant survive the treatment? The plants were kept in shoebox-sized plastic containers at room temperature around 70°F, and they received daily indirect sunlight through a frosted window. Snail eggs supposedly hatch in two to four weeks, so I planned to run the experiment for at least a month. Since the tubs had no filtration, I did 100% water changes (and added a little all-in-one liquid fertilizer) twice a week to remove surface scum and stagnant water. Java fern is pretty hardy, so I also ran some supplementary tests to see the treatments' effects on more delicate plants like vallisneria and cryptocoryne spiralis. 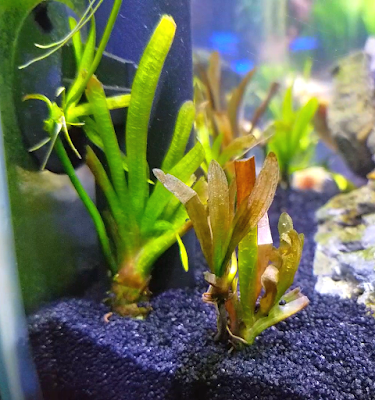 There are many different concentrations and treatment lengths for bleach, so I chose to follow the instructions provided by the online aquatic plant seller where I bought my val and crypts. Mix up 1 cup of regular bleach (or 3/4 cup of concentrated bleach) with 19 cups of room temperature water in a bucket. Completely submerge the plant in the bleach solution for 2 minutes. Dump out the bleach water, fill up the bucket with room temp water again, mix in 1 tsp of dechlorinator like Seachem Prime, and let the plant soak for 3 minutes. Repeat the last step of soaking in fresh, heavily dechlorinated water a couple more times. And that’s it! After the initial bleach treatment, I just floated the java fern in fresh, clean water with a little fertilizer for 30 days to see if any of the snail eggs survived. 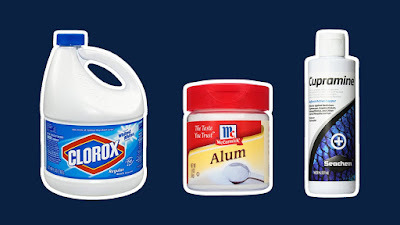 Mix up 1 Tbsp of alum per gallon of water. Let the plants soak in the solution for 3 days. Rinse the plants thoroughly with fresh water. And then like the bleach method, I quarantined the plants for the remainder of the 30 days in fresh water to see if any snail eggs hatched. Add 2 drops of Cupramine per gallon of water. Continue the treatment for the entirety of the 30 days to ensure all the snail eggs have had sufficient time to hatch, which means every time I do 100% water changes, I add two more drops of copper meds. Day 0: This morning I started treatment on all three plants. 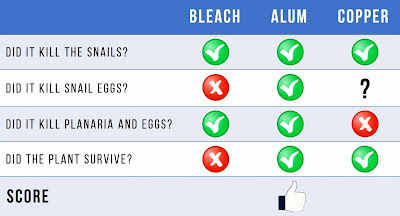 In the bleach tub, all the adult snails were immediately eliminated. By evening, I removed a bunch of dead adult and baby snails from both the copper and alum tubs. As for the eggs, the copper tub’s eggs look normal, like clear snot blobs with light-colored translucent dots inside, whereas the alum tub’s eggs have turned bright solid white. The bleach tub also has a few snot blobs, but I can’t tell if the eggs are affected. Only time will tell. Day 3: No more major snail deaths that I can see, but the bleach tub has brown tinted water – not sure if it’s caused by dead snails or dead leaves. Week 1.5: The copper tub had a planaria outbreak! I removed all of the flatworms except one to see if the copper will kill it. Week 2: The last planarian is still alive even after several days of copper meds, so I removed it. The alum tub is very clean with no baby snails, whereas the bleach tub has hatched more baby snails. I can now see that some of the bleached eggs turned to a white foggy mush while other eggs are intact. Week 3: The bleach tub still has more baby snails and I had to remove a bunch of dying brown leaves. The other two tubs’ plants are much greener with no sign of baby snails (or other invertebrates). I couldn’t see any eggs in the bleach and copper tubs, and the alum eggs are still bright white and pristine like before. Week 4: All the tubs seem to be snail free! 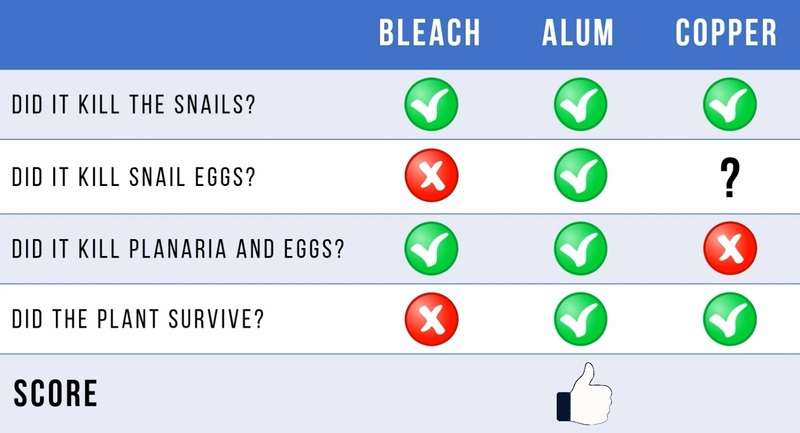 Again, no eggs on the bleach and copper tubs, and all the eggs on the alum plant are still solid white just like on day 1. The leaves on the bleach plant definitely look worse than the leaves on the copper and alum plants. 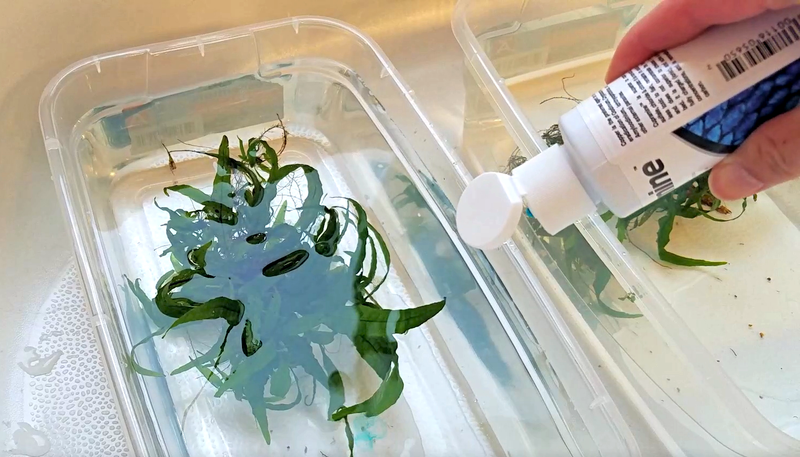 Before I close out the experiment journal, let me share how these three treatments worked on more delicate plants like vallisneria. The bleach flat out killed the val. All the leaves dropped off and the roots died. So I tried alum and copper with the remaining val and crypt spirallis. I never saw any snails or snail eggs so not sure if there were any to begin with, but I can tell you how the chemicals affected the plants, specifically the val since the crypts didn’t show much difference. By week 2, the alum had significantly browned all of the emerged leaves on the val into a mushy goo, whereas the emerged leaves in the copper tub had only browned a little and were still pretty firm. However, by the end of week 4, the tides had turned! The alum-soaked val had very green submerged leaves and was sending off shoots with healthy roots. The copper-soaked val, on the other hand, had brownish-red submerged leaves and seemed to be melting away even three weeks after being planted in the main tank. So time to summarize the results and give them the BEEP rating (i.e., how Beneficial, Easy, Efficient, and Proven are the methods). Did it kill the snails? Yes, all three treatments did. Did it kill snail eggs? I think only the alum method definitively did. The bleach killed some snail eggs but left many intact (maybe because the bleach could only be used for 2 minutes or else the plant will be killed). Unfortunately, those intact eggs regularly hatched throughout the process. The copper seemed to leave intact eggs as well, but I saw fewer baby snails survive since the water always had medication in it. Bonus: Did it kill planaria and its eggs? 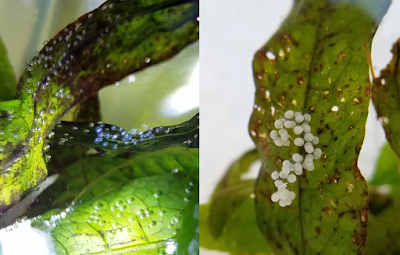 I didn’t know there were planaria eggs in the plants as well, but the copper was unable to get rid of the planaria nor its eggs whereas the bleach and alum eliminated them both. Did the plant survive? The bleached java fern significantly browned, and the bleached val completely died. The alum val fared much better than the copper val, but both chemicals had little effect on the java fern and crypt spiralis. My second choice would be copper since it was also effective and worked on snails, but it did stunt my val’s growth after 30 days of treatment. I hope you enjoyed this experiment as much as I did! There are a bunch of methods I haven’t tested yet, like potassium permanganate, hydrogen peroxide, manual removal, etc. so comment below to let me know what I should try testing next time around. Don’t forget to take time to enjoy your aquariums and I’ll see you next time!